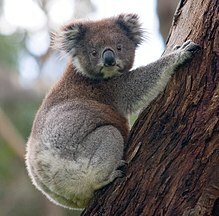 ↑ "Koala (Phascolarctos cinereus) Listing". Department of the Environment and Energy. Australian Government. Retrieved 1 September 2016.